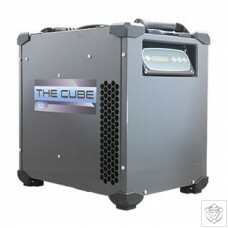 High performance dehumidification in a compact unit The Dri-Eaz® Cube Dehumidifier reduces humidity in enclosed environments by removing water vapour from the air. 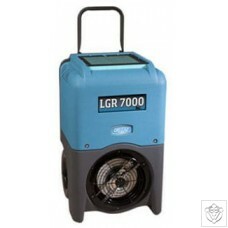 Features: Compact size is easy to transport and can be placed in cramped spaces Digital humidistat and controls in four languages Control panel displays inlet and outlet temp and RH in real time Automatic pumpout feature allows continuous operation Specifications: Water removal (27°C/60% RH): 28 L/day Water removal (30°C/80% RH): 43L/day Water removal (20°C/60% RH): 22 L/day Pro.. Recommended for grow rooms with up to 60 large plants or up to 120 small plants Used in closed environment applications throughout the USA for several years, and proven to remain true to the challenge of indoor growing conditions, these are the very best quality dehumidifiers around. This version is absolutely state of the art, a top end model in the range, and has built-in Humidistat control for maintaining your humidity precisely where you want it, built in software control and continuous monitoring of growroom conditions, manages fan speed as needed, will not go in to defrost mode in high temperatures found in grow ro.. Recommended for rooms with up to 40 large plants or up to 80 small plants Used in closed environment applications throughout the USA for years, and proven to remain true to the challenge of indoor growing conditions, these are the highest quality dehumidifiers around. This model is completely state of the art, a top end model in the range, and has built in Humidistat control for maintaining your humidity exactly where you require it, onboard software control and continuous monitoring of grow room conditions, regulates fan speed as needed, will not go in to defrost mode in high temperatures found in grow rooms, it is rugg.. 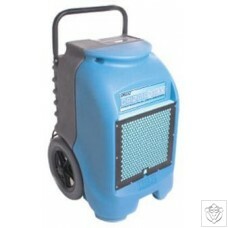 The Rapture 65L is a portable industrial dehumidifier for efficiently drying rooms during fire and flood restoration. 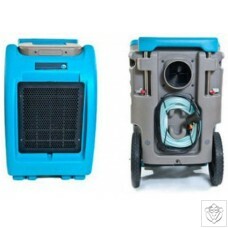 Features and benefits include hot gas bypass for low temperature defrost, humidistat as Standard 'to stop over drying', automatic pump out, easy to clean air filter, low noise and telescopic handle with semi-pneumatic wheels. Features and Benefits Hot gas bypass for low temperature defrost Humidistat as standard "to stop over drying" Hose attachment to direct the venting of hot air Automatic pump out Easy to clean air filter Low noise Easy to transport using telescopic handle with semi-pneuma.. Recommended for rooms with up to 30 large plants or up to 60 small plants Used in closed environment applications throughout the USA for years, and proven to stand up to the challenge of indoor growing conditions, these are the highest quality dehumidifiers available. This model is the lower end and cheapest in the range, but don’t let that lead you to think it is an inferior product, these machines are all built to last and made with high quality components, and have excellent warranty, and they are NOT made in china! 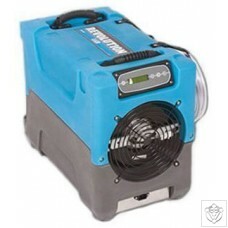 this model will remove a minimum of 30 litres of water per 24 hour period in grow room conditions, all dehumd.. Suitable for rooms with up to 25 large plants or up to 50 small plants Used in closed loop applications all over the USA for years, and proven to stand up to the challenge of indoor growing conditions, these are the very best dehumidifiers around. This model is the mid range model of the range, and has built in Humidistat control for maintaining your humidity exactly where you want it. These dehumidifiers are all built to last and made with high quality components, and have excellent warranty, and they are NOT made in china! 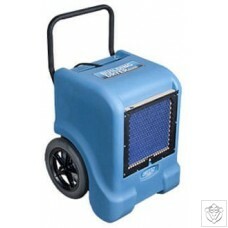 this model will remove a minimum of 25 litres of water per 24 hr period in grow room conditions,..